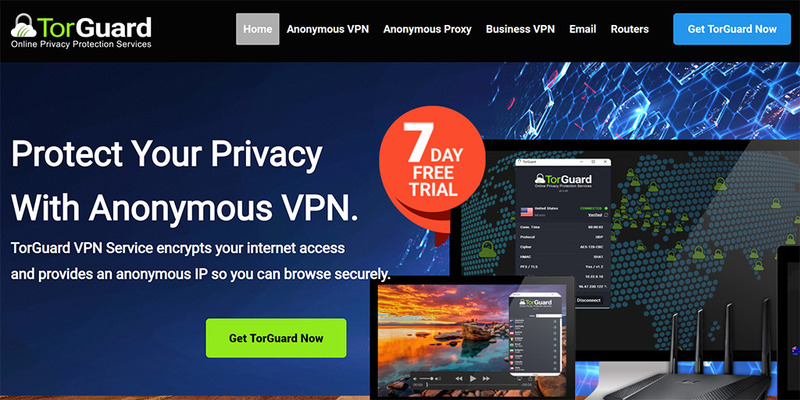 This is our review of TorGuard’s anonymous VPN service based on real VPN testings. In this TorGuard review, we will cover TorGuard VPN’s speed, price, free trial, software, customer service etc. In addition to this TorGuard review, we have also reviewed a number of other VPN services. If you are looking for a reliable VPN services to be used in China, Please also read our list of China VPN Recommendations. Offers Stealth VPN and Stealth proxy to defeat China’s VPN blocking. Free Trial: 7-day Money Back Guarantee. TorGuard is a well-known VPN provider. Its name has made some people thinking it’s related to the Tor project. In fact, this is not true. The “tor” part refers to “torrents”, and the name actually means guarding users’ privacy when using bitorrent. TorGuard provides a number of services, including Anonymous VPN, Anonymous Proxy, Anonymous Email and Anonymous Bundle. This review will focus on TorGuard’s Anonymous VPN service. Currently TorGuard’s website is blocked in China. To visit their website, sign up their service and download their VPN software, you need to use another VPN to do so if you are in China. However, once you have set up TorGuard VPN, you can use it from China, no longer needing another VPN. TorGuard seems to have experiences defeating the GFW of China. It’s well known that using VPN in China can be difficult because VPN traffic can be detected and then blocked or disrupted by a method called DPI (Deep Packet Inspection). To bypass it, some VPN companies have developed special protocols, often called stealth VPN, to hide VPN connections from China’s firewall. TorGuard’s VPN service includes a stealth proxy, which can be turned on to make the VPN connection stealthy (see picture below). For VPN users in China, turning on TorGuard’s stealth stealth proxy can be helpful for bypassing China’s VPN blocking. TorGuard’s website and software interface are written in English. Basically English skill is needed to use TorGuard. For payment, TorGuard accepts AliPay and UnionPay, which could be convenient to China VPN users. TorGuard’s VPN service provides unlimited speed and unlimited bandwidth. It has 3000 servers located in 50 countries. TorGuard’s VPN service supports common VPN protocols such as OpenVPN, PPTP, L2TP, IPSec, SSTP and iKEV2 etc. In addition, TorGuard supports stealth proxy technology (SOCKS5/SSH/HTTP/SSL), which can be used to defeat China’s VPN blocking using DPI. TorGuard supports common operating systems such as Windows, Mac, iOS, Android and Linux etc. TorGuard has a no-log policy and does allow torrent and P2P file sharing. As a matter of fact, TorGuard has servers optimized for torrenting. For simultaneous connections (or called multi-logins), TorGuard allows users to connect to their VPN servers using up to 5 devices at the same time. This is quite generous because a lot of VPN providers only allows 2. TorGuard VPN’s price starts at $4.16 per month (if you select their biennial plan). It has a 7-day money guarantee policy for users to try out their VPN service. TorGuard offers VPN software/apps for many platforms, including Windows, Mac, IOS and Android etc. In addition, installation instructions are provided for setting up TorGuard VPN without installing their software. We downloaded TorGuard VPN’s desktop client. The installation process was straight-forward and the software interface is clean and intuitive. With the desktop software, you can connect/disconnect to VPN and also change server locations and switch connection methods between OpenVPN and OpenConnect. TorGuard VPN offers mobile apps for both iOS and Android. Users can search for “TorGuard VPN” in Apple App Store or Google Play Store to download and install TorGuard’s free VPN apps. Then we used TorGuard’s Mac VPN desktop client to connect to their stealth server in the U.S. We got a download speed of 13.15Mb/s, which is pretty fast. The SpeedTest.net testing result is shown below. This test was done without turning on TorGuard’s Stealth Proxy. With Stealth Proxy turned on, the speed is usually slower. When you visit TorGuards’s website, you can find a U.S. toll-free number to call their customer service. Also, there’s a Live Chat option for connecting their support team. We tried their Live Chat option and were able to chat with a support agent quikly. We were able to get our questions answered using this method. TorGuard is a well-known VPN provider. Its stealth proxy features are helpful to China VPN users for bypassing VPN blocking. It’s a pity that TorGuard’s website is not accessible from China. However, you can use another VPN service to visit their website and sign up their VPN service. Once you have set up their software on your computer, you can use TorGuard’s VPN without the need of another VPN. If you are looking for a reliable VPN services to be used in China, Please make sure to read our list of Best VPNs for China Internet Users . This entry was posted in VPN Reviews and tagged review, torguard. Bookmark the permalink.